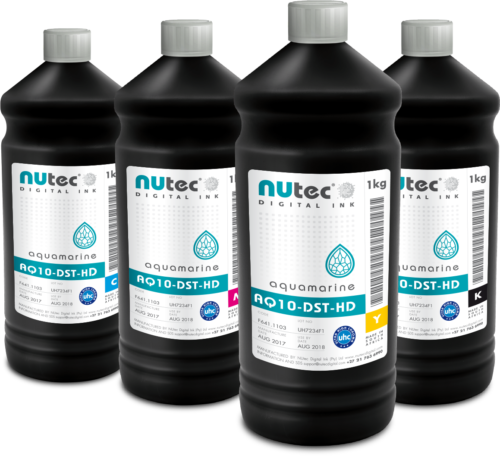 Aquamarine AQ10-DST-HD is a high density dye sublimation ink, designed for coated and uncoated transfer paper. Productivity is improved through high speed printing delivering vibrant images with lower ink consumption. 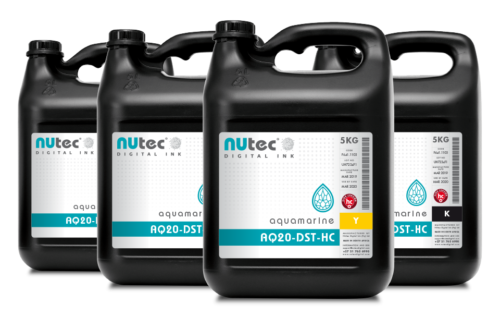 Aquamarine AQ20-DST-HC is a dye sublimation ink optimised for the Kyocera® KJ4B series of Dye sublimation print heads and is designed for coated and uncoated transfer paper. Productivity is improved through high speed printing delivering vibrant images with lower ink consumption. 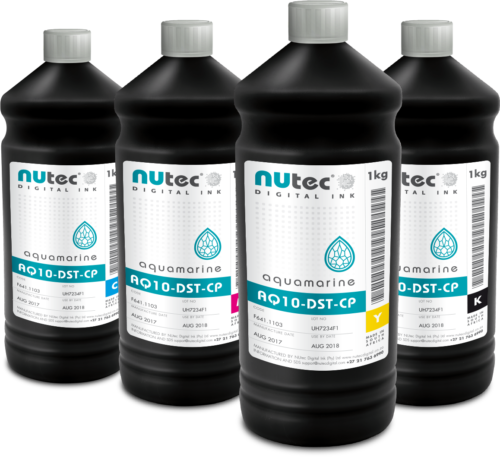 Aquamarine AQ10-DST-CP is a dye sublimation ink, optimised for coated transfer papers including sticky or tacky papers. This ink has best-in-class standby times and low maintenance.